When you’re trying to develop a new mindset, affirmations are a great way to redirect and reframe your thoughts. It takes time and effort to break free from a mindset of “not enough” or from a cycle of complaining and negative thoughts, but replacing those negative, defeating thoughts with truths from Scripture that focus on gratitude and blessing can do wonders for getting your focus back on track. The mindset of gratitude can cause you to rise above your circumstances and see them from a different perspective. So the next time you notice a negative pattern starting to develop in your thoughts, stop yourself, and replace the negativity or complaining with a gratitude affirmation. Bonus Tip: Turn your affirmations into short prayers! 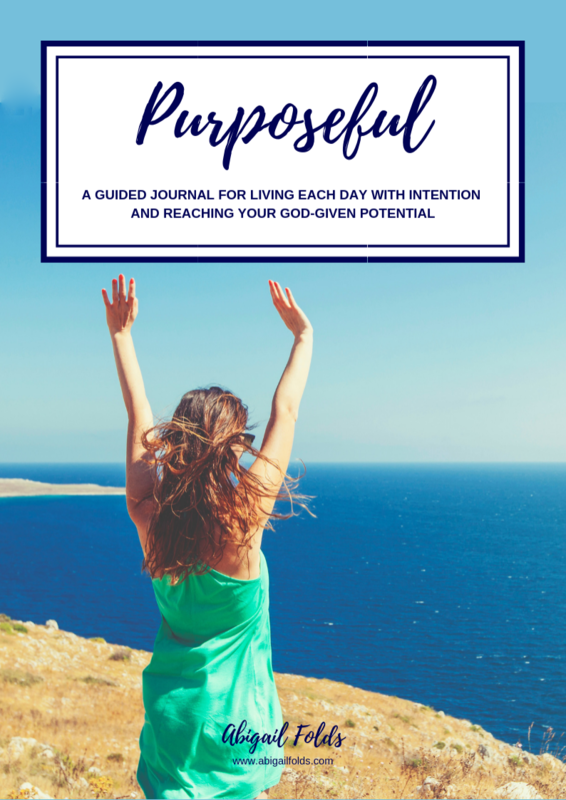 By the way, if you'd like to start moving forward in your life and faith, grab my FREE journal guide below to get started! Copyright © 2017-2019 Abigail Folds. All rights reserved. You may not take anything from this site without permission.